MAFSI is home to 71% of all manufacturers’ representative firms in the US and Canada, with 270+ Rep Agency Members, employing 1,600+ sales and marketing professionals. Our members are independent professional providers of field-level sales and marketing services They typically handle a portfolio of related, but noncompetitive product lines, working under a contractual arrangement within a defined geographic region, and on an exclusive basis. MAFSI REPS typically work on a straight commission basis which means they're highly motivated. They don't earn a penny unless they sell their manufacturers’ products. Click on this link for more detailed information on manufacturers’ representatives. There are approximately 1,000 foodservice equipment, supplies, tabletop and furniture manufacturers selling into the North American market, representing over 1,500 brands and average 5 to 100+ million dollars in gross sales. MAFSI is home to 220+ of these manufacturer companies, comprised of 700+ individual factory members, who recognize the value of the rep-manufacturer method of going to market, and support this decision by becoming a member of MAFSI. Fundamental to manufacturers, of course, is to deliver their product to market in the most efficient, cost-effective and thorough method. Eighty percent of the 1,000 commercial foodservice manufacturers choose to market their products through independent reps, while 20% use a direct sales force model. Our industry's manufacturers have found that hiring MAFSI independent, commission based, sales professionals provide better, faster and more stable and predictable results for their companies and outstanding support to their customers. So, why choose a MAFSI REP? Experience: MAFSI REPS have decades of experience and extensive knowledge of the foodservice industry. They are the local market experts and being rooted geographically results in customer relationships built on stability and trust. MAFSI REPS are typically second and third generation foodservice veterans, who have grown up in the industry, and who have spent a lifetime mastering all aspects of the products they represent. Moreover, since MAFSI REPS call on almost all facets of commercial foodservice, there is no one better equipped to report the market dynamics that affect our industry. Foodservice Focused: MAFSI REPS work directly with the local foodservice dealers/distributors, design consultants (kitchen architects), service agencies, and end user operators (restaurants, schools, healthcare, etc. ), that comprise the for the $13 billion commercial foodservice equipment, supply, tabletop, and furniture industry, as the product specialist and consultative sales agent. The value that MAFSI REPS bring—both to those they sell to, and those they sell for—emerges in large part from the synergy created through the representation of multiple manufacturers. Their product portfolios allow MAFSI REPS to present broad-based solutions to customer problems, rather than the price-and-delivery model typical of single-product selling. Stable Customer Relationships: Local and long-lived, MAFSI REPS take an aggressive pride in their territories. Because well-established rep firms have business and social roots in their territories, and have worked them for years, they have credibility with customers They're here today and here tomorrow. They build their customer base with meticulous care. They group their product mix with their customer mix. Reps are the mainstay of the markets they serve. The better they are, the longer they stay. Factory sales people come and go. The better they are, the quicker they change territory. Educated: By their affiliation with MAFSI, our reps are highly educated on industry and customer trends. 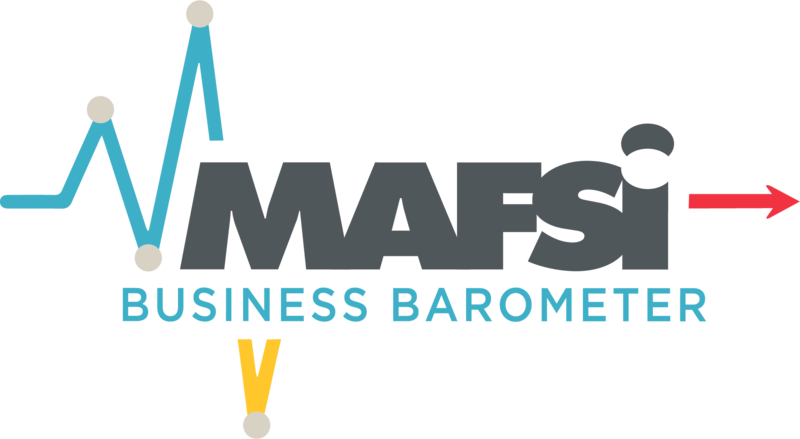 MAFSI provides our reps with hundreds of hours of training, over 80 guidelines and resources, MAFSI only market research including our quarterly foodservice business barometer and annual market forecast statistics. In addition, they benchmark their agencies annually, providing a consistent measure of what they are doing right and where they can grow. Two of our newest offerings include SpecPath, our online 11 400 00 specification/project management tracking software and Foodservice 101, which offers the fundamentals of foodservice, to new salespeople in the industry, ensuring our rep agencies can hire new talent with confidence and get their new hires up to speed quickly. Cost and Time Savings: MAFSI REPS offer the most cost-effective and efficient means of reaching national, regional, and local markets. Because MAFSI REPS are the exclusive factory branch sales office in their territory and represent two or more manufacturers they offer greater product exposure while providing expert service to the time-challenged buyer. Additionally, MAFSI REPS, provide you with availability of capital. Since you don't bear the expense of building, maintaining, or expanding a direct sales force, capital is freed up for other business activities. And, since they are paid only for results, your sales costs are predictable. Overhead expenses are the rep's concern, not yours. Superior Sales Support: MAFSI REPS provide manufacturers and customers with a multi-faceted, multi-skilled, more experienced sales team which average nearly 1 to 1 support internally for each sales person in the field. MAFSI REPS have excellent industry connections and know the trends affecting their marketplace. MAFSI REP firms come in all shapes and sizes, but on average generate 10 - 18 million dollars in gross sales, and typically employ three to four field representatives, with an additional three to four inside customer service personnel. Seventy percent of MAFSI REP firms have showrooms and test kitchens to assist customers in project planning. Customer Committed: As the local factory sales office for more than 800 foodservice manufacturers, MAFSI REPS, with their exceptional product knowledge and valuable insight, help successfully guide the customer through the conception, selection and acquisition phases of purchasing. Three-quarters of our MAFSI REPS have test/demo/mobile kitchens and showrooms where customers can sample products first hand. Their consultative approach not only opens the door for the other manufacturers they represent, but also adds value and fosters a partnership with the buyer, as the purchase progresses through an entire project. Representatives also advocate customer issues with their manufacturers and dealers to ensure that the end user operator is receiving exactly what they are demanding. Real Results: MAFSI REPS offer immediate coverage and penetration into a given territory through established contacts with their customers. Manufacturers and customers can choose to work with a MAFSI REP with confidence as they demonstrate the highest level of professionalism, business acumen, technical competence and territorial continuity. MAFSI REPS are committed to delivering constant value to both the customer and the manufacturer. What are the advantages that MAFSI REPS bring to manufacturers? Reps are highly motivated to sell your products because they make money when YOU sell products. Their success is your success. MAFSI REPS succeed only when you do. Immediate access to a well educated sales team who have local acceptance and are trusted by their customers. Greater marketing penetration to increase your sales. They cultivate long-term relationships with buyers in their territories. They know who is likely to need your product, and their recommendations have the credibility that comes from a longstanding relationship. They can help you enter new markets quickly and effectively, because they've already penetrated the territory. You don't have to hire and train salespeople. Representatives are already highly trained and knowledgeable about their markets. They give you access to a broader, more stable source of market feedback. Because representatives sell a number of lines, in territories and to customers they know well, they provide a more reliable source for market intelligence. Their customers feel confident in discussing changes and opportunities in the marketplace with them, as well as airing criticisms, praise, and suggestions they'd be reluctant to share with factory personnel. They're motivated. Representatives typically work on a straight commission basis. They don't earn a penny from you unless they sell your product. How will they save manufacturers money? You don't have to maintain an internal sales force. The representative bears the cost of maintaining a staff, an office, and possibly a warehouse. They hire and train their own sales people. They pay their own taxes, insurance and retirement benefits, travel, entertainment, trade show, and administrative expenses. Your selling costs become predictable. You don't pay a commission until after an order is shipped. You get value-added benefits at no extra cost, such as regional sales management and sales analysis; product detailing; and promotion and merchandising. 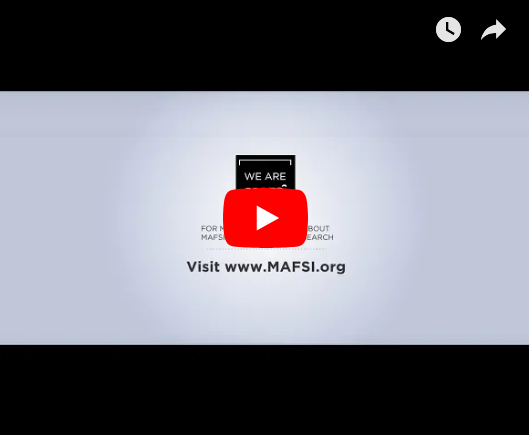 Each MAFSI member firm offers you the benefits of a complete and cost-effective sales and marketing organization without the expense of hiring and training your own staff. With a thorough knowledge of their territories and long established customer contacts, MAFSI reps can develop and expand your customer base through an agreed upon territory action plan. MAFSI REPS spend their day marketing your products to all facets of the industry, with the purpose of lending their specific product knowledge and experience to the foodservice community. MAFSI REPS are the window to the marketplace. MAFSI REPS work directly with the local foodservice dealers, consultants, and end-user operators as the product specialist and consultative sales agent. Think of MAFSI REPS as specialists that the dealer and consultant rely upon as they execute their work. We support both – we replace neither. Representatives also advocate customer issues with their manufacturers and dealers to ensure that the operator is receiving exactly what they are demanding. On behalf of their manufacturers, MAFSI REPS exclusively represent approximately 12-18 product manufacturers in their defined marketing territory. There are typically 10-20 MAFSI REP local factory sales offices in each marketing territory (please see MAFSI Region map at left). MAFSI REPS typically employ 3 to 4 field representatives, 3 to 4 inside customer service people and over 70% of our firms have showrooms and test kitchens to assist customers in project planning. It is not uncommon for MAFSI REPS to also have on staff chefs to assist the customers´ culinary team with menu planning and preparation and cooking procedures unique to specialized equipment such as blast chillers and combi ovens. Our members’ broad range of services are available to customers at no expense. Our members’ field reps, their customer service staff, their facilities and their years of specialized experience are available to customers at no charge because they are paid by the manufacturers. Over 80% of foodservice manufacturers utilize the professional sales and marketing services of independent manufacturers’ representatives. Manufacturers have found that hiring MAFSI reps provide better results for themselves and their customers. Below you will find the product, product sub-categories and market segments that MAFSI REPS serve. Customers can call upon MAFSI REPS to provide accurate and specific information germane to the product lines they represent—once again at no charge. The representative’s knowledge ranges from technical aspects of a piece of equipment to application, installation, maintenance and service. MAFSI REPS are typically second and third generation foodservice veterans, who have grown up in the industry, and who have spent a lifetime mastering all aspects of the products they represent. MAFSI is everywhere food is. And everywhere you are. 270 rep agencies, 260 manufacturers and 2,400 members strong. Spanning North America, feeding 300 million people and changing an industry.